I had to avert my face away from the television screen earlier this evening as the news show headlined this accident earlier today involving a group of Tourism students from Marinduque whose bus had an accident while on a field trip in Baguio. Seven people were killed and many more injured. Perhaps the news crew should have erred on the side of discretion. I felt that shots of the dead sprawled on the streets and victims moaning in excruciating pain as they were extricated from the bus, while sensational from a journalistic point of view, were also disrespectful to the victims. At any rate, inevitably the first questions that were being raised pertained to accountability. It is never as though anyone ever wishes for anything like this to happen; but invariably accidents – especially if there are fatalities – expose flaws in planning that most never even imagine are flaws to begin with. The fact that this accident happened so soon after a similar field trip accident in Antipolo just last week inevitably points the spotlight upon schools and the way they plan their events – field trips, in particular. There was this one time in another school when a group of students took the school bus on the way to an interscholastic affair in another school. On the way home, a few students asked permission to ride back home in a friend’s family car. The principle, in a nutshell, states that the school is legally understood to always act in the best interests of the students. In other words, the school and its representatives take the place of the parents while the students are in their care, whether inside the campus or any other school activities even if these are outside the campus. Education is routinary and mundane most of the time; and so hence the need to plan learning activities outside of the classroom to ensure what educators love to call holistic education. Where loco parentis applies in the planning of these activities is apparent in many ways. Sometimes, they are not; and sometimes it regrettably takes an accident to point out things that should have been taken into account. Those who were at DLSL when I was in charge of the annual school fairs would have been bored to extinction by the carousel that I always insisted we rented. I would not have anything else; and with good reason. There was this accident in another school when some grade school kids as I understood it then were asking the operator to make the caterpillar at the fair grounds go faster. Unfortunately, the caterpillar went out of control. Many were hurt and there were fatalities. Among the things that came out in the messy aftermath of this accident was that the operator of the rides did not have a mayor’s permit and no precautions were taken to have the rides checked for safety. Frankly, prior to this accident, the rides came and the rides went. Nobody could think of holding a fair without rides because these were what made school fairs fun in the first place. That same year, other schools made sure there were no rides during their respective school fairs. We had the carousel in ours; but we had also learned from the other school’s caterpillar accident by ensuring that our operators obtained a permit from the mayor’s office. We also formed an in-house engineering committee which checked the carousel for safety at the start of each fair day. We would never have thought of this had the accident in the other school not happened. On the one hand, I would like to think that we were acting in the best interest of our students. 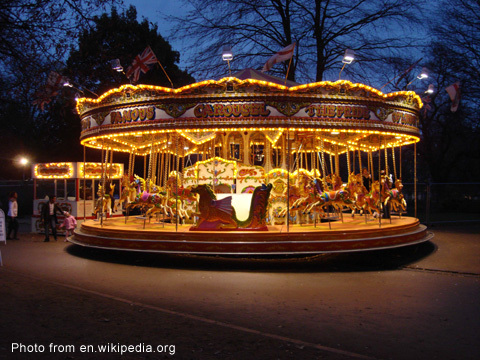 We had a carousel that the little children could enjoy – as could the high school students, once they overcame their mistaken notion that carousels were only for children – but made sure that the carousel would pose no threat to anyone’s wellbeing. On the other hand, we were also protecting the school against litigation because accidents are always bound to happen when least expected. That is why they are called accidents. Nobody expects let alone wishes them to happen. Murphy’s Law helps to a great extent; but sometimes school personnel are neither trained nor experienced enough to know where something can go wrong. Or, on the flipside one can be so paranoid one ends up ultimately defeating the purpose of an activity. The truth is, who can really tell? Unfortunately, the friend’s car had an accident and there were again fatalities. It was being pointed out in the inevitable lawsuit that came on the aftermath of the accident that the students should not have been allowed to go home in the family car. Since the students were on an official school activity, the students should have been on the bus as well for the ride back to school. But seriously, who would have even have thought that there was anything wrong with some of them riding in another student’s family car? Would it have been any different had one of the parents been in the family car? That’s beside the point. The point is, accidents happen even at home. Loco parentis is a sound principle; but it should also not be used as a blanket reason to find somebody to get angry at because something that nobody really wanted happened. Unless there is stark negligence by somebody, which is an altogether different matter.